I've been craving for this since I read M's food-blog a few days ago. Luckily, it's (thai red curry) the first spice that I saw when we went to buy grocery at Shop and Carry earlier today. I bought some crabs and leeks and squash since eggplant doesn't agree with me. You can add eggplant if you like though. After boiling the desired amount of water, I added squash and onions and leeks. 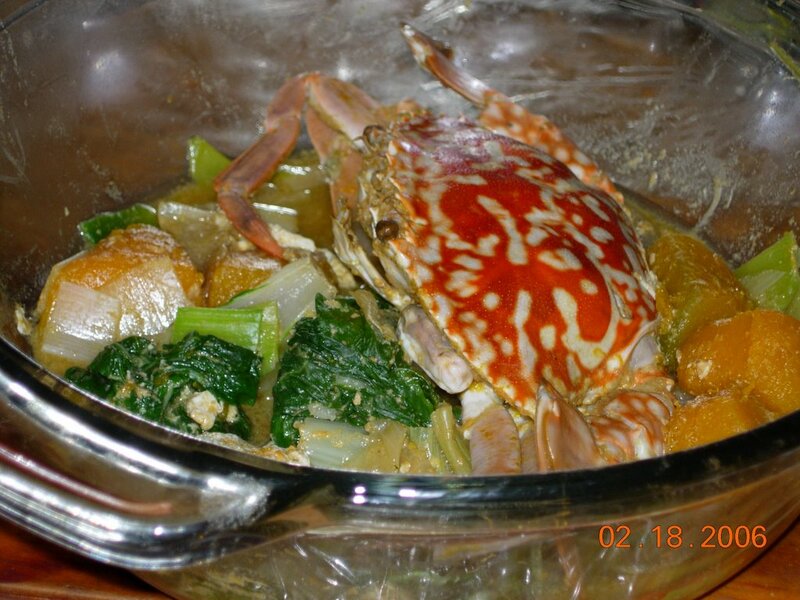 Then I mixed in the red curry powder and added the crab. 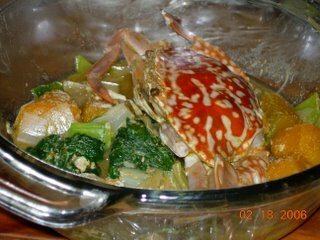 I let it simmer until the crabs are cooked- yummy! Daughter like the crabs (of course) except for the curry sauce which is really too spicy for her.